Jeff Bezos took to the stage earlier today to announce Amazon's first entrant into the highly competitive smartphone industry, the Fire Phone. Not only was the presentation loaded with some of the shiny new features of the handset and Fire OS, all meant for the press to disseminate to potential buyers, but there were also a few unusually blunt efforts to attract developers. In the midst of demonstrating Firefly and Dynamic Perspective, portions of the presentation were focused on explaining that developers would be able to extend these platform features in their own apps. There was even a video filled with sound bites from developers, mostly game designers, that had been given early access to the Dynamic Perspective SDK. Two separate packages make up the entire Fire Phone SDK. The first is dedicated entirely to Firefly, Amazon's object, video, and music recognition engine. It provides the obligatory libraries and examples so developers can build plugins that can be activated after a user has identified something through the camera or speaker. At this time, support is only available for Java-based applications. The other SDK is oriented around Dynamic Perspective. Naturally, this includes the head tracking technology and motion gestures that were featured extensively throughout the presentation. 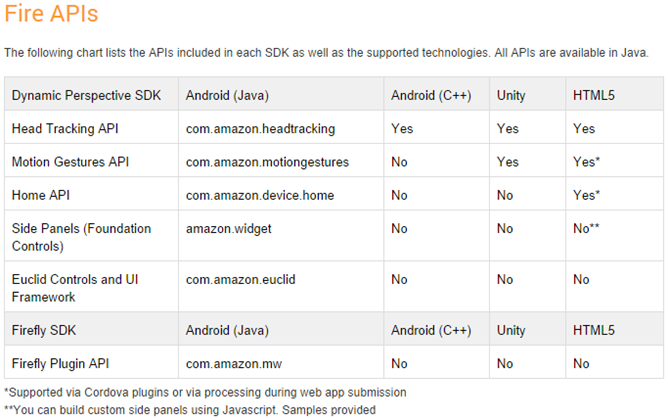 This SDK also exposes several of the other aspects of Fire OS that don't necessarily fit the title, like built-in system controls, side panels, and Active Widgets for the home screen. These libraries are fully compatible with Java, but vary across some other technologies. If new features and APIs aren't enough to attract developers, Amazon is also throwing in some pretty major financial incentives. For every paid app or app with in-app purchases, developers can qualify for 500,000 Amazon Coins (valued at $5,000) that can be distributed to users for promotional purposes to drive purchases and downloads. For developers that rely on ads to pay the bills, Amazon is also offering $6 CPM on interstitial ads in August and September for apps that are distributed on Fire Phones. This offer is only available for apps that are integrating the Mobile Ads API for the first time. Congrats go to Amazon for offering some interesting and accessible features on the Fire Phone, not to mention some solid promotions to get the ball rolling. 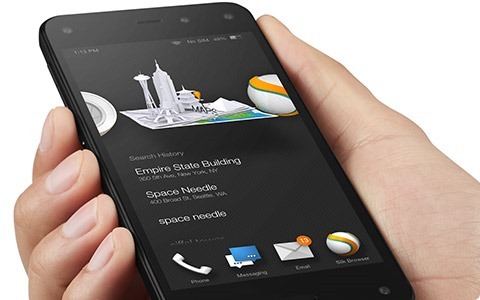 However, the future of the Fire Phone may not hinge on how much attention developers give to it, but the potential return on investment does rely on the phone achieving a decent footprint in the market. Developers will still have to judge if it's worth committing the time to build apps that target a single handset with undetermined market success and limited availability (it is an AT&T exclusive).